I got a “Text” neck ! Are you next? We went and met Dr. BharatInder Singh today. I have a lot of relief from the upper arm pain that I had due to the nerves in my neck getting compressed but I still don’t have full free movement of my right hand. The mistake is all mine, I haven’t been consistent in doing the exercises that Doc prescribed and I was hoping he will say that there is some easy miracle cure that will fix this with me lying down on a bed :):). The truth is I don’t gravitate towards exercises naturally except Yoga and cycling. I have no illusions of being an athlete – I played all the sports at school and wasn’t good at anything except badminton and after college life took over .. and the rest is his-her-my story. Dr. BharatInder Singh told us something interesting. 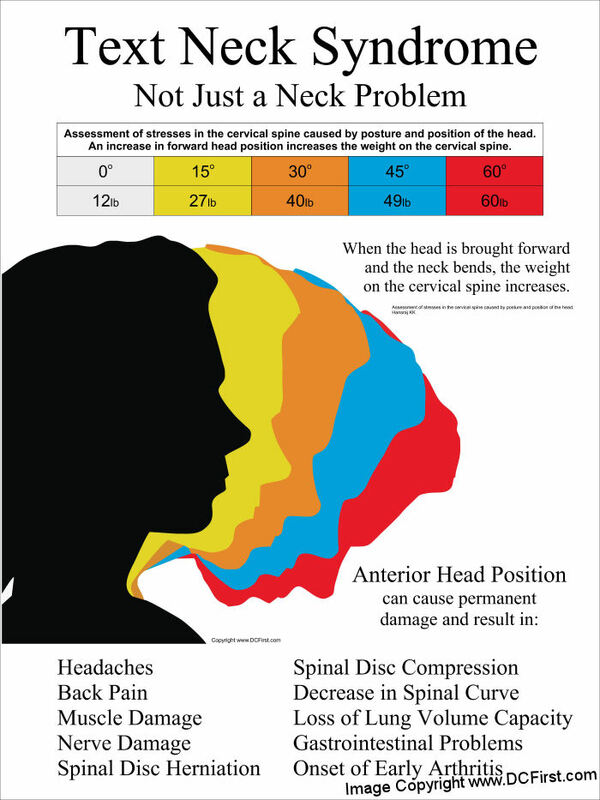 My condition has a name now – its called “Text Neck”. Here’s a Fox News video that speaks about this and how it is an epidemic courtesy the wonderful cellphones, iPads and laptops that we are all addicted to. We are really trying very hard to go back to being hunchbacked beings after all the effort our ancestors put to becoming erect beings!! Please watch this video – http://video.foxnews.com/v/4563636351001. Take a break every hour for a couple of minutes and do a stretch or neck exercises. Keep the phone at eye level while texting – its no fun, but being unable to use your hands is worse. So get that phone to eye level. Get a stand for the iPad and the laptop that puts the screen at eye level. As you see in the video, the head should not be tilted forward. Dr. Bharat Inder Singh said that the navel, chest and head have to be in a straight line not hunched over each other…. good old grandma’s advice, sit up straight. 90 degrees. Get a straight back chair that helps to keep your back erect, the thigh and legs must form a right angle triangle. Your knees must be 90 degrees. 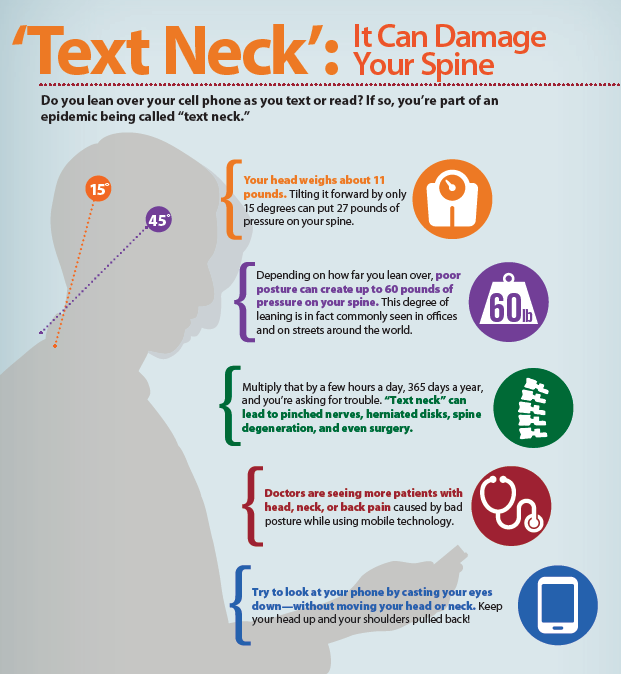 If you are suffering from frequent headaches, it could be “Text” neck, if you have upper arm pain, well again, it could be “Text” neck … Please consult a doctor and preferably prevent the condition from occurring. Its no fun. I am not posting the exercises that Dr. Bharat Inder Singh has prescribed because you really should visit the doc to figure out what’s best for you. The one simple advise is look up, sit straight and don’t tilt your head forward for long periods of time.